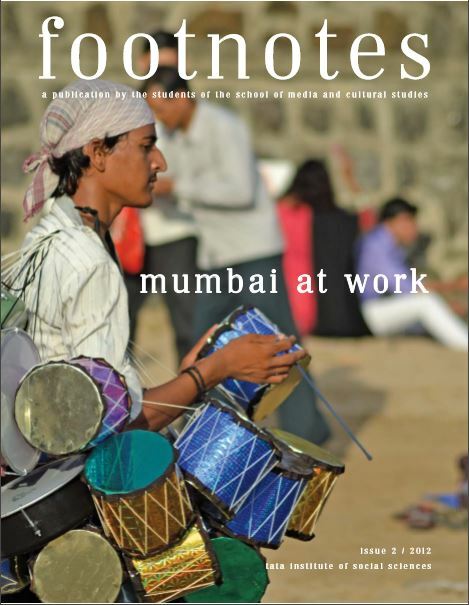 The stories in this issue of Footnotes, produced by the batch of 2013, might be drawn from the present, but could as well have been located at any point in Mumbai’s long and turbulent history. The idea is not to conjure myths out of the city and its people. There are enough others who do that. What this issue intends to do though, is to slip backstage to speak to those who work hard every single day, trying to eke out a living from a city in their traditional livelihoods or new ones. It sees how far a single skill can go, how aspirations seem to change but essentially remain the same, how this city continues to be crafted and imagined by its lifeblood, its workers.